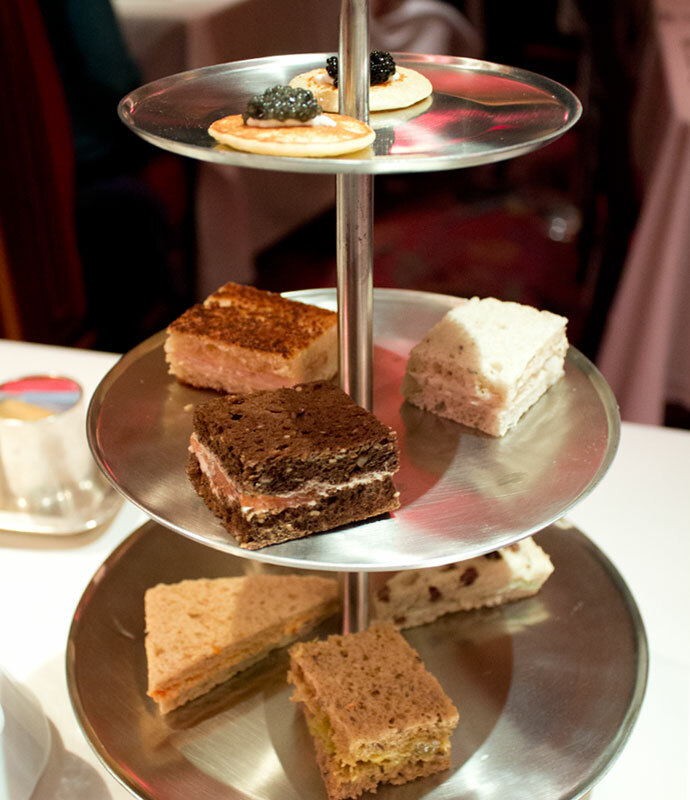 Review of the afternoon tea at The Russian Tea Room in New York City. See photos and ratings of the restaurant, the tea, and the food. The first time I was at The Russian Tea Room was when I was a senior in high school — that was many, many years ago. Since then, I’ve gone a couple of more times and both times it was for afternoon tea. The restaurant’s design has not changed at all since I went in high school. They renovated and updated, but the look was kept the same — and I really don’t think they should ever change it since it’s so nicely done. 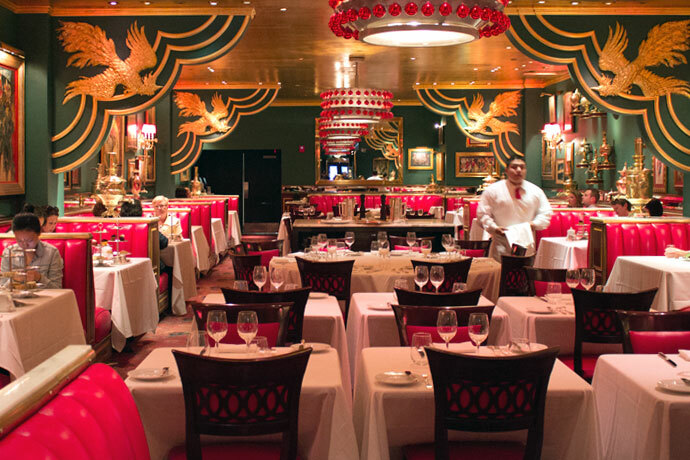 The Russian Tea Room’s dining room is a feast for the eyes. It’s a delight to be greeted by the colorful and opulent decor. It’s definitely a fun setting for afternoon tea. The Russian Tea Room does a slightly different tea service in that not all three courses come out at once. Instead, each course comes out separately. Afternoon Tea is a set menu, which means that you get what everyone else gets and you don’t choose from a menu of food options. You do get to choose the tea though. The pricing is for each person and with each order you get a pot of tea and three courses consisting of tea sandwiches, scones, and sweets. 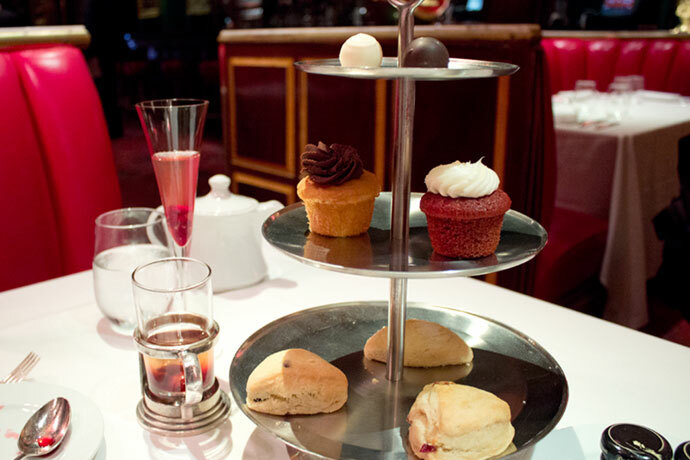 Does The Russian Tea Room Have More Than One Kind of Afternoon Tea on the Menu? The Russian Tea Room does multiple types of afternoon teas — a lot more than other places in NYC. You can choose one of the five afternoon teas offered: the RTR Afternoon Tea (what I ordered), Royal Afternoon Tea (with Champagne), Children’s tea (for kids under 12), Vegetarian Afternoon Tea, and a Gluten-Free Afternoon Tea. How Much is Afternoon Tea at The Russian Tea Room? The RTR Afternoon Tea is the traditional and it’s $60 per person. Add Champagne to this and the price goes up to $85. The Royal Afternoon Tea is $90 per person and $115 if you add Champagne. This afternoon tea is priced higher since it comes with caviar. The Vegetarian Afternoon Tea is $60 per person. Add Champagne and the price is $85. 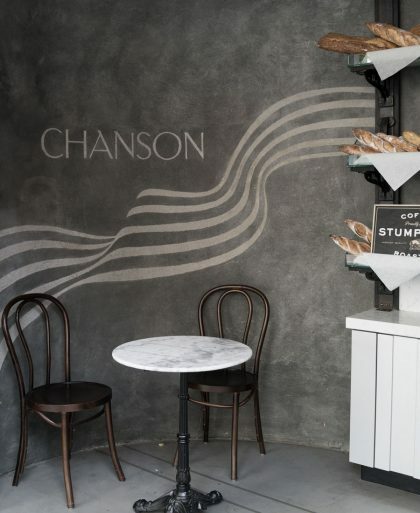 The Gluten-Free Afternoon Tea is also $60 per person. Champagne brings the price up to $85 like the rest. The Children’s Tea is $45 per person and it’s for guests 12 and under. You’ll find grilled cheese tea sandwiches and a selection decaf teas. Do I Need to Make a Reservation for Afternoon Tea at The Russian Tea Room? It’s not mentioned that reservations are required but I would highly recommend that you make one. It’s never fun to make a day around it then be turned away at the door because you don’t have a reservation. Check online when making the reservation since they sometimes have promotions like free Champagne with your afternoon tea. What Do I Wear for Tea at The Russian Tea Room? At the very least, dress smart casual but you can definitely dress up. Dark jeans without any rips will be OK, but avoid wearing sneakers. Aim to look put together but relaxed and comfortable. How Long is Afternoon Tea at The Russian Tea Room? Afternoon tea usually lasts about two hours. It’s an occasional luxury so don’t rush and enjoy your afternoon sipping tea and taking dainty bites of each course. What Time is Afternoon Tea at The Russian Tea Room? 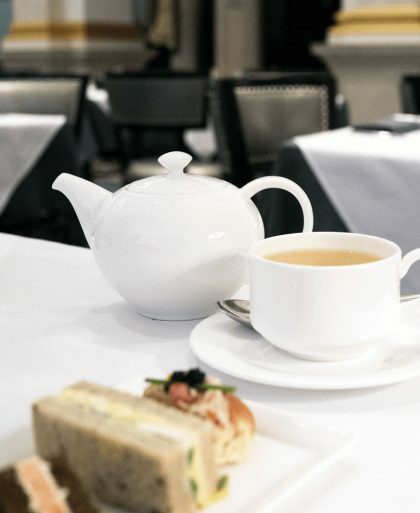 Afternoon tea at The Russian Tea Room is served daily from 2PM – 4:30PM. Dinner starts at 5PM so I would make the reservation at 2PM or 3PM if you want to avoid the dinner crowd. 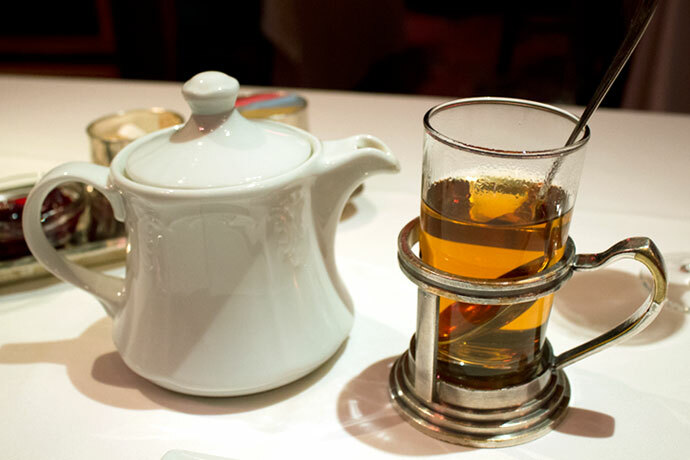 How Does Afternoon Tea at The Russian Tea Room Work? First, decide on which afternoon tea you would like out of the five options. After the afternoon tea has been selected, take a look at the tea menu to see which tea you would like to drink. Once the order is placed, the tea will come out first, then the food in courses. Colorful punches of vibrant greens and reds lets you know you’re not just in any restaurant. The dining room is grand and decadent. 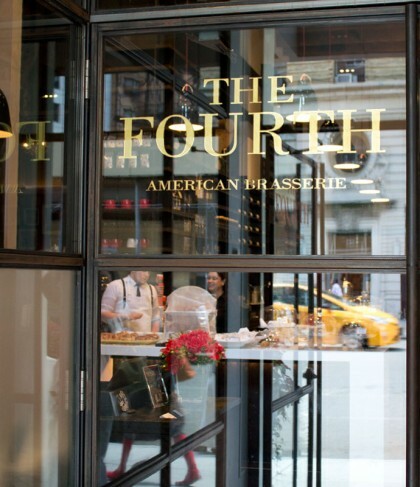 Since it’s a restaurant, you’ll see a mix of people getting late lunches or just a quick bite to eat during afternoon tea hours. I was seated in one of the roomy side banquettes and it was pretty comfortable. Service was very good, although I wouldn’t say the friendliest. The servers wear uniforms, which gives it a nice formal feel. A very limited selection of just six teas. Wish it was double that. I got the Formosa Oolong, which was nice and delicate. The first course consisting of savories were brought out first on three-tiered trays. My friend and I each had our own set of trays. Eight savories in all, starting off at the top with a tasting of two caviars on blinis. Each sandwich was made with fresh bread and they were all tasty. I liked each and every one. RELATED: Is High Tea the Same Thing as Afternoon Tea? After we finished the tea sandwiches, the trays were taken away and replaced with another one with scones at the bottom and sweets on top. Three scones each were a bit much especially since we were already getting full from the sandwiches. Scones were a good size and warm to the touch. The sweets were a bit of a disappointment since every other course was so good. Sweets were just two cupcakes and two truffles each. I wanted more of a variety and in smaller portions. The cupcakes were just OK (I only had a quarter of one) and the truffles were good but nothing fantastic. The tea service started off great, but fizzled by the time the sweets arrived. It’s worth going at least once though, just to take in the decor. Gluten free and vegetarian – well, that's great. Did the champagne affect the taste of the tea (or did you choose a tea that would complement the champagne favors)? Hi Georgia, I only had a sip of the champagne at the beginning then put is aside for the rest of the tea service. Since I wasn't drinking from it the whole time, it didn't affect the taste at all. It's been so many years since I went anywhere for high tea. This is going on the list! Thanks! Hi Yvo, give it a try! its worth going just for the space and the tea sandwiches!